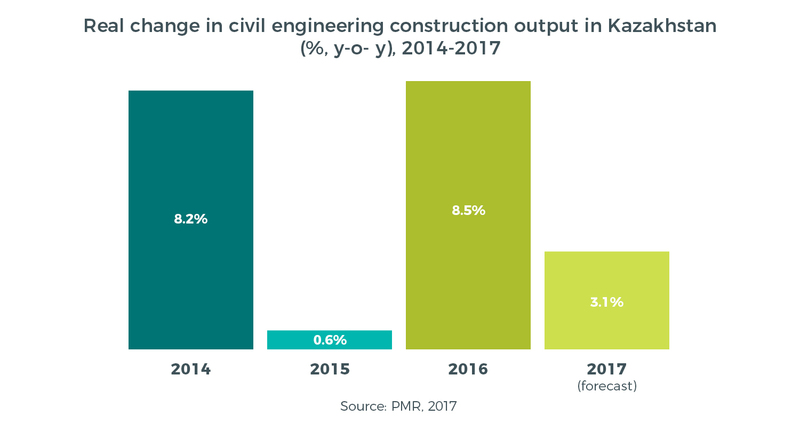 - In 2016, civil engineering’s share of the entire Kazakh construction market increased to almost 51%, from 50% in 2015. - In July 2016 TengizChevrOil, a Chevron-led consortium, announced a $36.8bn investment in the Tengiz oil field. - The total capacity of existing “green” projects throughout the country has expanded to only about 296 MW (WPPs – 98 MW, SPPs – 57 MW, small HPPs – 140 MW, biomass – 0.4 MW) in 2016. - Kazakhstan is ranked 16th in the world in terms of oil production, 12th in terms of proven oil reserves and 24th in terms of proven natural gas reserves. 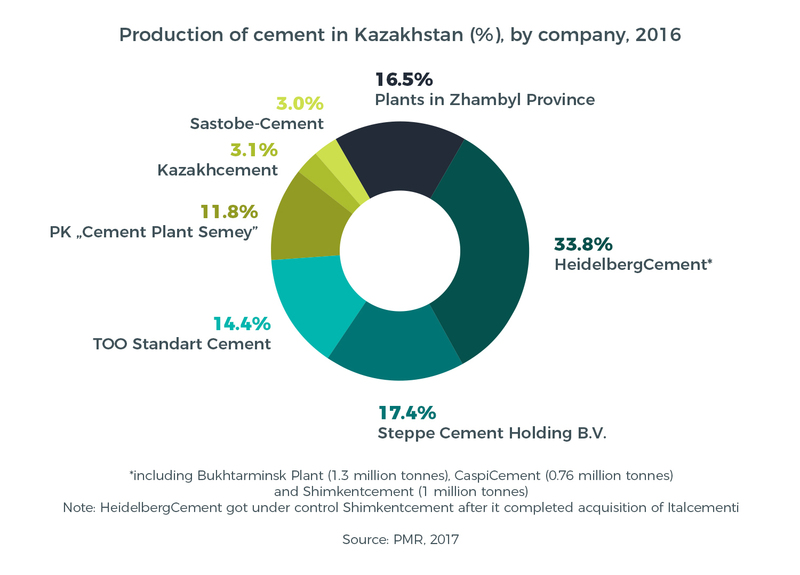 - In 2016 cement production in Kazakhstan increased year on year by 5.4% to 9.2 million tonnes. - A 4% contraction in cement consumption was recorded in 2016, following a 10% expansion in 2015. - There are 13 cement plants in Kazakhstan with a total production capacity of almost 15 million tonnes.